High potentials consistently and significantly outperform their peer groups in a variety of settings and circumstances. While achieving superior levels of performance, they exhibit behaviors that reflect their companies’ culture and values in an exemplary manner. It’s critical for businesses to understand the distinction between high potential and high performance; confusing the two can be costly. You may have an abundance of high-potential employees working for you. 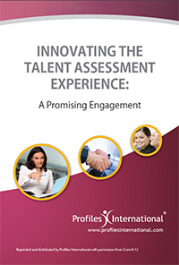 Learn how to identify them, and actualize their potential to create a high-performance workforce.